Unless you are planning to gut the house, you probably have to work with what you have: existing steam or hydronic radiators powered by a boiler, or forced-air ducts fueled by a furnace. Even without taking up the floor, there are ways to incorporate new technology that will make your system not only more efficient, but more comfortable to live with. 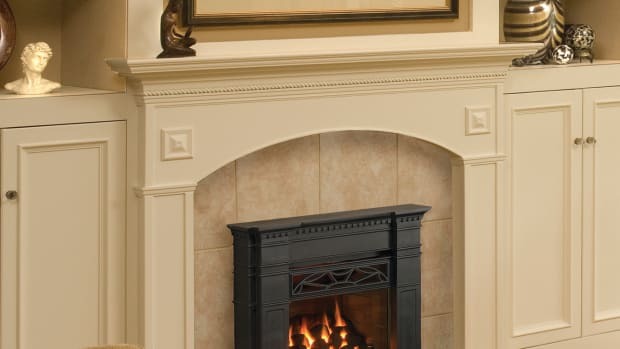 Homeowners have long supplemented central heating systems with wood- or gas-burning fireplaces, stoves, and inserts. 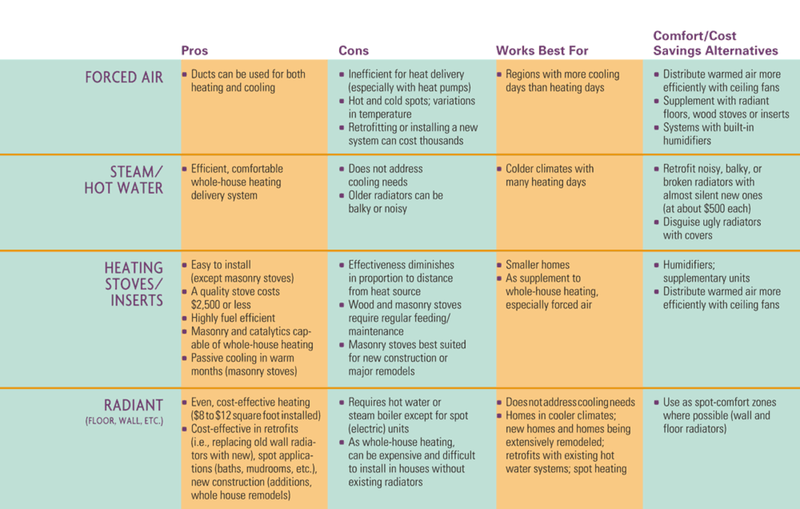 These often highly efficient units can boost warmth in a gathering room or even heat a small house at prices that make sense to most homeowners. But there are plenty of other choices that can resolve certain dilemmas or boost comfort in traditionally chilly spots like entries, porches, and bathrooms. You can swap out balky radiators for new, almost silent models that fit into the existing system; this one is from Steam Radiators. Got a steam or hot water system with balky radiators? No need to throw out the boiler with the bath water when you can replace the most troublesome with new ones. Choices include almost silent baseboard units that melt into the wall, flat-fin units that tuck under windows, or streamlined tubular radiators that resemble the originals you may already have, like the ones from Steam Radiators. Runtal North America even offers flat-fin units that can curve underneath a bowfront window! Another option for bump-out windows or large expanses of glass is a narrow radiant register that recesses into the floor. Reggio Registers offers a stylish version that measures 8&apos; long x 8" wide. The unit draws in cold air, warms it with a hydronic heating element, then re-circulates the warmed air. Kitchens built at the perimeter of the house (like porch conversions) can benefit from the installation of kick-plate registers that direct warmth to your feet, like those from HeatRegisters.com and I.A.P. Sales. 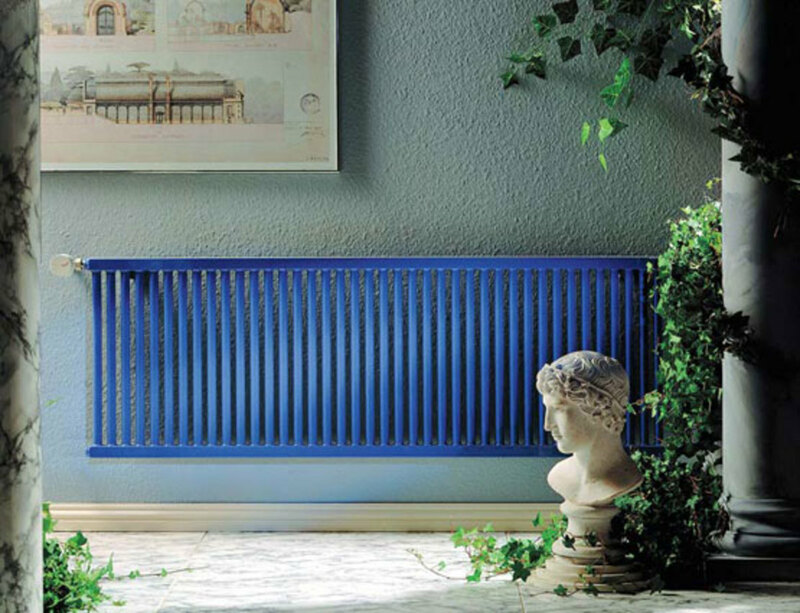 Radiators that work fine but look homely can get a cosmetic makeover with the addition of a radiator cover. 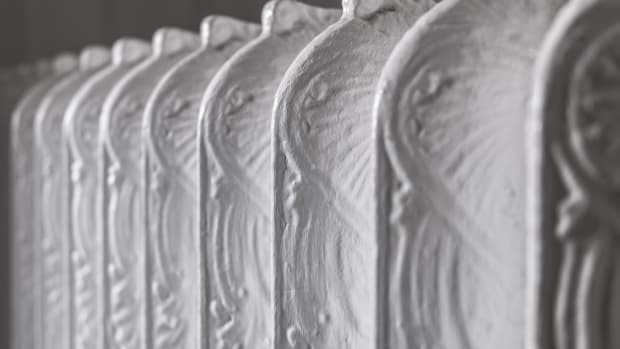 The metal ones, like those from Beautiful Radiators or (for baseboard units) Radiant Wraps, often feature traditional grille patterns familiar from the early 20th century. These units can help direct heat away from walls and windows out into the room. 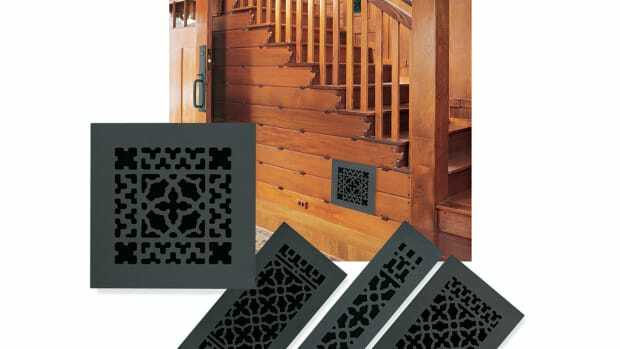 If you have a forced air system, give vents and returns a more polished look with register grilles in patterns and materials that are more in keeping with the date of the house, like those from Acorn Manufacturing and others. 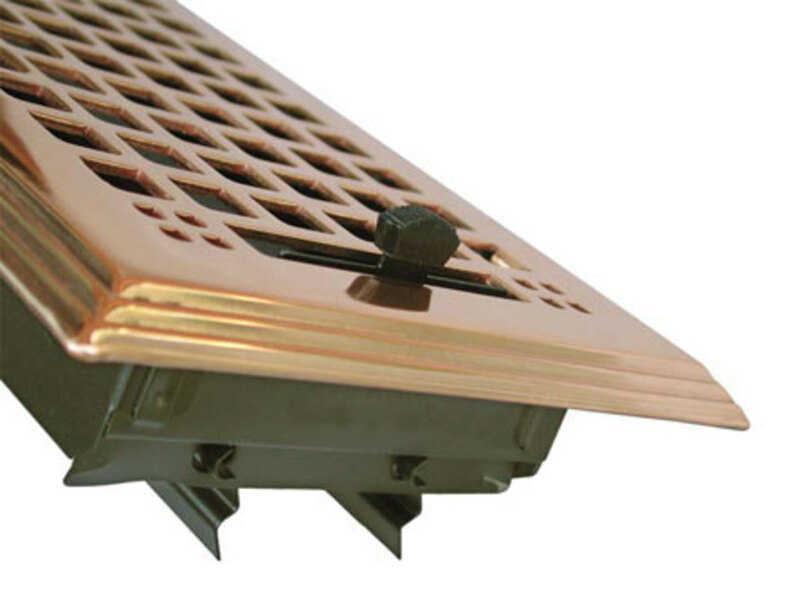 A handsome brass forced-air grille from HeatRegisters.com. Remodeling a bath, kitchen, or mud room is a great time to lay down a radiant floor. Hannel Radiant Direct offers full radiant heating packages from state-of-the-art boilers to PEX tubing and thermostats—good news for homeowners who want the efficiency of an entirely new system. Electric radiant systems are so easy to install that they go down in an afternoon and link to the existing electrical box with a thermostat to control the setting. They even go outdoors: low-voltage electric radiant systems like those from Heatizon can de-ice roofs and melt ice and snow on driveways and walks.